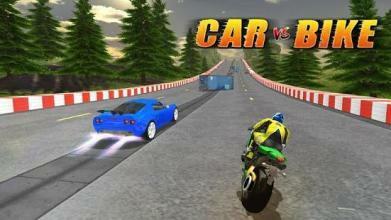 Car vs Bike Racing Game : Enter the world of crazy impossible stunts on mind blowing tracks in Car vs Bike Racing! Choose the best vehicle to give you the racer edge against the others and swerve the obstacles to compete and finish the track in the least time! If you crash into any obstacles or your opponents, then you will lose the game. 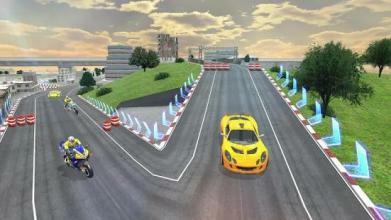 You can play as any one of the cars or any one of the bikes. 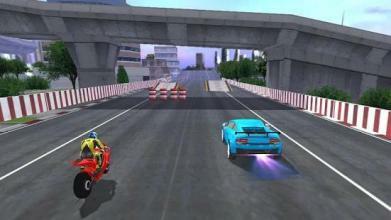 Choose from over 20 different vehicles to be the top racer in this race game. Explore the city in various realistic 3D themes like Snow, Gangster City, Desert, Beach and many more to come. With the smoothest controls and a free cam view this race adventure is sure to keep you addicted for hours. 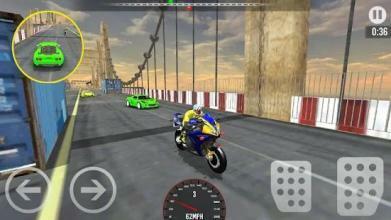 Look out for the speed booster in car vs bike racing while you make a jump with your racer vehicle. You have to be the expert in fast cars driving over the city roads and chasing skills with real time precision. Car vs Bike Racing Features: ? Tap the accelerate button to speed up. ? Use brake button to slow down or reverse. ? 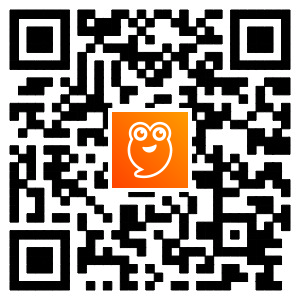 Tilt the device to steer the motorbike left/right. ? Reach the finish line within time. ? Ultra-smooth controls and user friendly GUI. ? 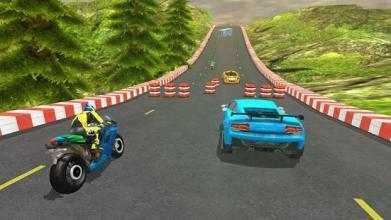 Addictive action and extra ordinary stunt racing. ? Beautiful and eye-catching graphic.